Starting up and shutting down the oracle listener is a routine task for a database administrator. However a Linux system administrator or programmer may end-up doing some basic DBA operations on development database. It is critical for non-DBAs to understand the basic database admin activities. In this article, let us review how to start, stop, check status of an oracle listener using Oracle listener control utility LSNRCTL. 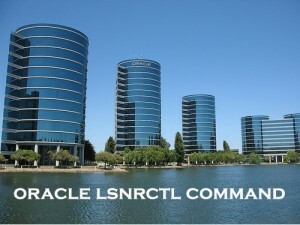 Before starting, stopping or restarting make sure to execute lsnrctl status command to check the oracle listener status as shown below. Apart from letting us know whether the listener is up or down, you can also find the following valuable information from the lsnrctl status command output. Listner Start Date and Time. Uptime of listner – How long the listener has been up and running. If the Oracle listener is not running, you’ll get the following message. If the Oracle listener is running, you’ll get the following message. Service "devdb" has 1 instance(s). Service "devdb.thegeekstuff.com" has 1 instance(s). Service "devdbXDB.thegeekstuff.com" has 1 instance(s). Service "devdb_XPT.thegeekstuff.com" has 1 instance(s). To restart the listener use lsnrctl reload as shown below instead of lsnrctl stop and lsnrctl start. realod will read the listener.ora file for new setting without stop and start of the Oracle listener. lsnrctl help command will display all available listener commands. In Oracle 11g following are the available listener commands. reload – This will reload the oracle listener SID and parameter files. This is equivalent to lsnrctl stop and lsnrctl start. change_password – Set the new password to the oracle listener (or) change the existing listener password. show – Display log files and other relevant listener information. You can get detailed help on a specific oracle listener command as shown below. In the following example, it gives all the available arguments/parameters that can be passed to the lsnrctl show command. Thank you very much for the informative notes. It helps everyone of us. very nice… and more clarity…….keep rocking…. Very nice and concept is made clear. Thanks a lot man, it helped a lot. it’s very helpful, clear and nice. I installed 11g and tryed to start the OEM . when i had created a new database at last i got a message which said that i need to configure the LISTNER (something related to LISTENER )and then run the emclt script . Copyright (c) Oracle Corporation 1994. All rights reserved. English: Thank You very much! Thank you so much as you saved my day. Very helpful information. first check whether u can able to ping the database using ping command. if you have the service entry then check whether the port number is same for listner and the tnsname. what is procedure for startup and stop the DB and listener. could you please help me which one first have to start either DB or Listener. Great article, helped me a lot.